Firstly, apologies for the lateness of this diary. I got a bit swamped during the week and so put this off. At any rate, this week is a bit more of a theoretical diary, musing about some game design issues. The stuff I want to write about in particular is the problem of trying to create a game that has both a strong single-player component and a multi-player game. In my game design career, this is a problem I’ve been exposed to many times, with varying results! 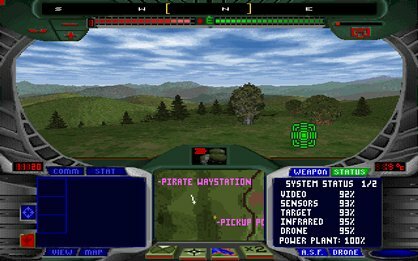 The first game I ever “worked on” (and I put that in quotes because I didn’t do very much work on it), was Terra Nova. This was a troubled project and one troubling element of it was that multi-player was cut and promised in a patch. Unfortunately, the patch never eventuated because the game sales simply couldn’t justify the extra work. That start was a portent of my future relationship with multi-player. 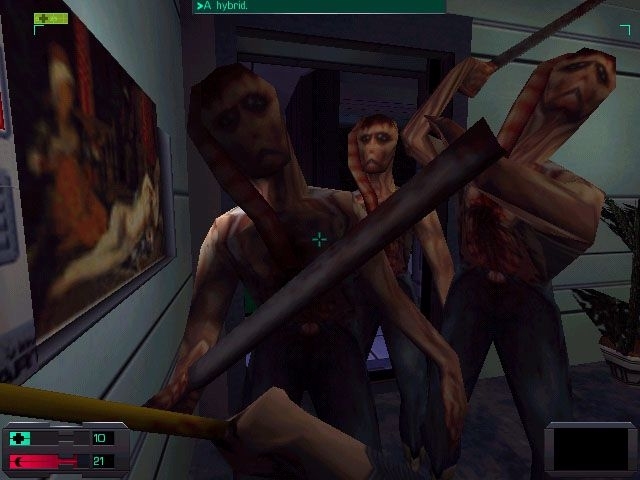 More of you might remember my first game at Irrational Games: System Shock 2. With this game, we almost went down the same path as we did with Terra Nova, i.e., not releasing the game with any multi-player – but this time we actually managed to ship the promised patch that added it in! Why did we have such trouble with multi-player? The simple answer is that we were super focused on doing great single-player games and we regarded multi-player as a necessary evil that distracted us from our task. The more complex answer is that we didn’t see a great fit between the notion of growth in the single-player game and a multi-player game which would necessarily want to be about balance. System Shock 2 is all about getting more powerful as the game progresses, so how would a competitive MP game work? The answer we came up with in the end was to make the MP game cooperative. Even so, it created a big balancing headache for us as two (or more) players would have wildly differing power levels from a single player. We faced the same problem with Freedom Force multi player. Freedom Force is also an RPG where you characters level up and increase in power over the course of the game. We had a strong push (requirement) from the publisher to include a competitive multi-player mode, so this time we had to bite the bullet and include something. The answer we came up with wasn’t too inventive – it was simple to give each player a point total to spend building multi-player characters. The multi-player game was completely separate from the single-player game – you didn’t unlock or find stuff in single-player that was useful in MP. And, because we didn’t really have the time to balance it properly, there were tons of clearly over-powered and un-fun strategies in MP. But, back to Card Hunter. When we started building this game, single and multi-player were both integral to the game design. I wanted a strong single player component to the game because that’s how I envisaged players building up their collection of stuff, but I also wanted a well-balanced multi-player game, because that’s where the really long term appeal of the game is, once you’ve exhausted the single-player content. So, our initial design for accommodating growth in the single-player game and balance in multi-player was very similar to what we used in Freedom Force. 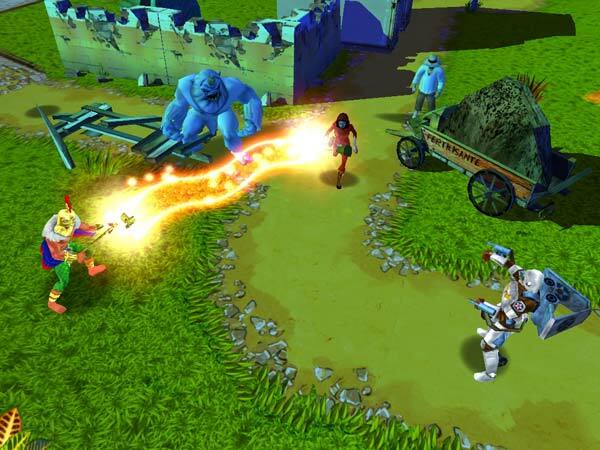 In single-player your characters increase in level, giving them more health and access to more powerful (level limited) items, much as happens in any old RPG. In multi-player, characters are fixed in level, meaning they have a common baseline of health and power. However, we realised that we couldn’t just limit multi-player characters to level <x> items as this would rule out of contention most of the items in the game. If multi-player characters were always level 20, for example, level 40 items would never see play and level 10 items would rarely be used. Instead, we needed to come up with a system that allowed the use of all kinds of items. The solution we’ve been using to date is a point system. In single-player, items are restricted by level, but they also have a point value which is used in multi-player. A multi-player character gets a budget of 20 points and they can’t equip more items than that budget allows. So, for example, if you take a crappy 1 point helmet, this leaves you a lot more points that you can spend on your weapons. Low point value items are valuable because they leave room for higher point value items in other slots. The real value for multi-player is “how powerful are the cards I get from this item in relation to its point cost”? Much like how value in Magic is derived from the card power relative to its mana cost. Multi-player character building works differently than single-player character building. When transitioning from one to the other, you have to learn a whole new system. It can get very fiddly when you are trying to spend exactly the right number of points. You can spend a lot of time trying to balance out exactly how many points to spend on each item, searching for items that cost exactly <x> points and so on. So, we’ve been working on a new system that, we think, solves both of these problems. It’s pretty late in the day to be making such a radical change to our game design, but we are pretty sure it will work and be better than what we have currently. Having said that, I don’t have time to talk about it this week – I’ll present it soon when we have it working in game. It seems to me that it might be opportune to bump up all of the points as is the system in Heroscape. This would mean that you would have a total of say, 500 points but weapons would also cost 100 as opposed to 10. It seems like this would allow for easier balancing and adding items to your character, allowing for more freedom. The system is similar to the ones you find in current card games, such as Yugioh! In Yugioh, you can put as many cards as you want in your deck, but is highly suggested you do not go above 40 cards to maintain the ‘concentration of the deck,’ mainly to ensure that all the cards in the deck is useful. Would this mean, by the point budget system, players are allowed to attach as many (or as little) deck character cards, just as long as the point allocation has not been taken up completely? Hope this isn’t too confusing.. :p I didn’t really get what I wrote myself but now I do. I thnk Archeinight is kind of misunderstanding, but raises an interesting point. Is it possible to equip one super awesome item with super awesome cards, then no other weapons or armor, so that you draw nothing but super awesome cards from that one item during the entire game? @John: we originally had items costing several hundred points, but it got quite fiddly adding up all the point values (e.g. 210 + 130 + 80 + …). It was particularly bad because, at that time, you *had* to fill all your item slots – more on that in a later comment. @Archenight and John Evans – every character (excluding the monsters) in Card Hunter has to have a deck of the same size. The way we enforce this is that each slot puts a certain number of cards into your deck. If you don’t put an item into the slot then you get the “default” cards for that slot which, as you can imagine, aren’t very good ones. So, you can equip the one super-weapon, but if you spend all points on that you’ll have a bunch of mediocre or bad cards in the rest of your deck. Is there any need to have quick, simple deck building in a game like this. I assume we will be able to save decks? When starting a game you would just choose one of your saved decks that you lovingly made earlier. I like spending ages making decks. It’s part of the appeal of this type of game. @Dan – yes, I agree, and there is plenty of opportunity to spend time picking and choosing things for your deck. We will literally have thousands of items, so you won’t be short of choice. Saving out decks is clearly something you will want to do. We only have one multiplayer deck in the game at the moment, but we do plan to add the capacity to save and restore multiple decks. Uh, so this particular feature is taking me a little longer than anticipated, which is probably why we don’t have a dev diary for this week yet. Sorry folks! Terra Nova was pure genius and way ahead of its time. Too bad the MP never materialized.